When Neal Barsch ’14 found out he would be representing Sierra Leone at the National Model African Union in Washington, D.C., he knew he would need to make some fast friends to accomplish his small country’s diplomatic goals. “If I wrote a resolution based on just what was good for Sierra Leone, it wouldn’t have passed,” said Barsch, an economics major from Colorado who earned two top honors awarded by his peers at the event. For Mary Moran, professor of anthropology and Africana and Latin American studies, it is that kind of interaction that makes the Model AU simulation an enriching experience for students of all majors. The event brings students from across the country to simulate a meeting of the real African Union. Each student is assigned a country to represent and is placed in a committee where resolutions are proposed, debated, and acted upon. Colgate has participated in Model AU since the mid-1990s, and in 2010 it became a half-credit course. Students meet weekly to work on resolutions and to study their assigned countries prior to the annual meeting, which took place from February 20–23 this year. Of the 20 Colgate students participating, seven acted as committee officers, including two chairs and two vice chairs. Lwam Stefanos ’14, a political science and English major from Morristown, N.J., served as vice chair of the Assembly of Heads of State and Government on the final day, as did Gloria Kebirungi ’15, an economics major from Uganda who also served as parliamentarian. Those who live around Colgate are accustomed to steering clear of deer — literally. 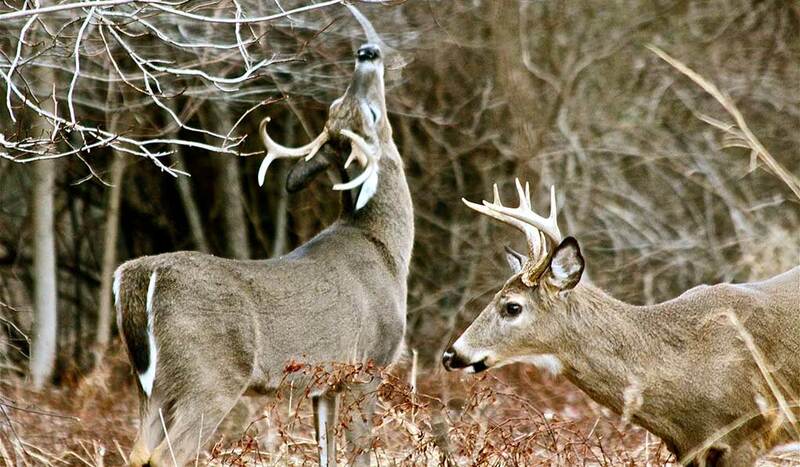 The overpopulation of white-tailed deer is a problem that affects the town of Hamilton as well as many other areas. In December, students who researched the issue presented their findings and facilitated a discussion with area residents and local officials. The semester-long project was an integral part of their Community-based Study of Environmental Issues course with biology professor Catherine Cardelus. Not surprisingly, the students found an overabundance of deer in the area — about four times the size of a healthy population — and an increase in negative interactions between humans and deer. Those include agricultural loss, lack of forest regeneration, higher incidence of Lyme disease in humans, and frequent vehicle accidents. The students had collected data through on-site observations, local surveys, and by looking at communities facing similar issues across the nation. “We also wanted to determine what the local population thinks about deer,” said Arielle Sperling ’14. Sperling, along with her classmates Mabel Baez ’15, Christa Fagliarone ’14, Nicole Halper ’14, Evan Heby ’14, Grace Hilling ’15, Kelsey Jensen ’14, Emilyann Keller ’15, Charles Lichtenauer ’14, Mary Helen McGee ’14, and Alexandra Shapiro ’15, suggested several methods for reducing the local deer population. Their recommendations ranged from revitalizating a Citizens Task Force that sets deer population goals, to working with the Department of Environmental Conservation to provide more antlerless deer tags for hunters, to a culling approach that would involve trained marksmen working in approved areas and under strict safety guidelines. The students hope their academic research can be used as a first step for local officials to determine the appropriate course of action in a way that involves the entire community. “It is rewarding for us to give back to the town of Hamilton in this way as a form of activism,” said Sperling. Course description: This course helps students develop beginner skills in a style of contemporary dance started by Rudolf Laban, a movement theorist. The class focuses on teaching proper alignment and efficient movement, while helping students increase their flexibility and muscular endurance. Students also are introduced to various choreographic and improvisational techniques. Key assignments/activities: Students must create a unique final choreographic project in which they derive inspiration from an environmental feature on campus (e.g., a bridge, a specific tree, or a building). Students are encouraged to consider the shape, intersecting lines, and mass of the object. Class format: Every class is centered around learning dance techniques; students start with a floor warm-up and standing warm-up, then move to center combinations and across-the-floor work. The professor says: “The technical components of the course address not only dance vocabulary, but also the ongoing study of the principles of movement and alignment, which have a vast impact on how we carry ourselves throughout our lifetime. Tapping into the creative elements of movement allows students to explore their own potential as dancers and thinkers. “We are truly exploring new territory,” wrote Kara Vadman ’14 and Mikhaila Redovian ’15 as their vessel headed into uncharted waters near Totten Glacier, Antarctica. Vadman, Redovian, and geology professor Amy Leventer were on board the RVIB Nathaniel B. Palmer as it navigated the icy shelves of the Antarctic from January until March. 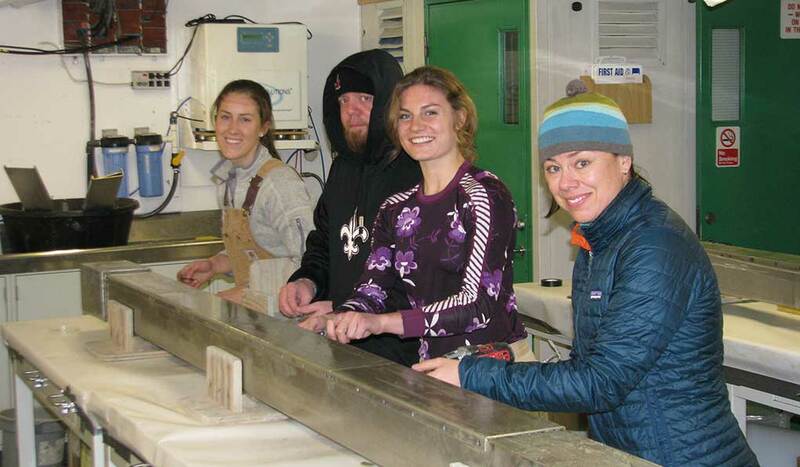 Kara Vadman ’14 (far left), Mikhaila Redovian ’15 (second from right), geologic oceanography professor Amelia Shevenell from the University of South Florida, and cook Mike Bowen tackle a Kasten core on the Palmer as it sailed through Antarctica. The Totten Project, a ship-based marine geologic and geophysical survey combined with a physical oceanographic study, is investigating the marine system of the Totten Glacier and Moscow University Ice Shelf in East Antarctica, which has shown a recent increase in ice loss. This rarely explored region is the largest — yet least understood — potentially unstable marine glacial system in the world, according to the project’s web page. The researchers are evaluating both the recent and long-term behavior of the glacial system and its relationship to the adjacent oceanographic system. Vadman, Redovian, and Leventer joined a multinational research team composed of undergraduate, graduate, and postdoctoral students as well as technicians and professors from various institutions. As they sailed through the Antarctic, the two geology majors blogged about their experiences — from battening down hatches and keeping a ship log to taking core samples and collecting and analyzing sediment. Check out their posts from aboard the Palmer. 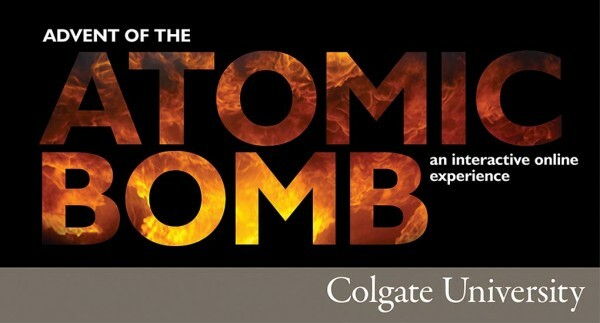 From building a bomb to acting as historical figures involved in the Manhattan Project through a “Twitter play,” students in the Advent of the Atomic Bomb embraced science and technology — connecting with alumni along the way. Karen Harpp, a geology professor, has taught different iterations of this Core Scientific Perspectives course since 1998. In the first half, students learn the science behind the atomic bomb. They then discuss the technical challenges, politics, various global perspectives, and ethics. Given the complexity of the topic, Harpp incorporated an online component to allow for additional discussion time. That feature also made it possible to include alumni in the discussion; for more than a decade now, students have benefited from a wide range of alumni perspectives. This semester, alumni were also able to audit the course (for free) through the edX open-source platform. More than 300 alumni, from the classes of 1952 through 2013, signed up. 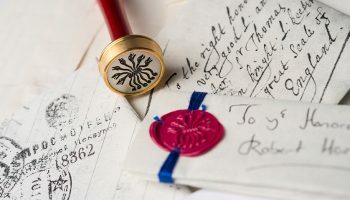 Some participated in the online discussion board, added to a collaborative time line, took part in videoconferences, and contributed to the Twitter project. Harpp partnered with Information Technology Services, the Office of Alumni Relations, and others to develop the program. 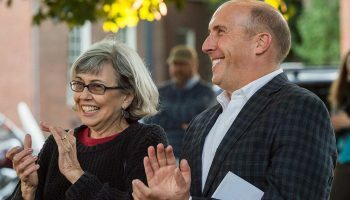 “Without their tireless efforts, this project could not have been possible,” she said. The Twitter play recreated the story of the bomb, from the day before the attack on Pearl Harbor to the surrender of the Japanese in 1945, through the eyes of the people involved. Students took on the roles of key figures like Albert Einstein, J. Robert Oppenheimer, and Gen. Douglas MacArthur. Alumni and Colgate staff played the parts of Harry Truman, Admiral Yamomoto, and President Franklin Roosevelt. Requiring extensive research, the exercise was intended to help class members grasp the interconnectedness of those involved and the complexity of the Manhattan Project, as well as examine the moral and ethical issues. Some alumni, like Starr Waymack ’06, are taking the class for a second time. An international relations major and geology minor as a student, he traveled to Japan with Harpp and has kept in touch with her over the years. 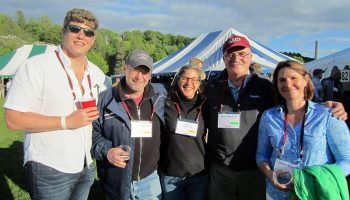 “It’s one of the best classes I took at Colgate,” he said, adding that he believes alumni interactions have helped the class evolve. 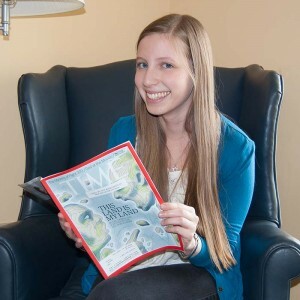 “To have the insight from alumni is invaluable,” said Katie Stebbins ’17. Fred Thayer ’71, a retired Episcopal priest who lives in California, told Harpp, “Your course is influencing my interests and pursuits.” He read a new book and attended a lecture on Leo Szilard (a physicist involved in the Manhattan Project) at UC San Diego. He then took a tour of General Atomics, where Edward Creutz (who also helped create the bomb) worked. As an English and religion double major, “What do you want to do with your life?” can be a daunting question. Luckily, the Day in the Life program provides the opportunity to explore some possibilities. I was excited to spend a day learning about magazine publishing at Time Inc. with Guy Gleysteen ’82, senior vice president of production. I sat in on several meetings with Mr. Gleysteen and talked to members of the Time Inc. staff. I learned about creating tablet editions of magazines, was introduced to the process of advertising, and saw image editing in action. Also, I was given a demonstration of how the makeup of a magazine — specifically, Entertainment Weekly — is coordinated. I also gained insight into the day-to-day functions of the production division, watching how Mr. Gleysteen supervised and coordinated agents in order to create and distribute Time Inc.’s many titles. I discovered a lot of jobs that I hadn’t even realized existed. For example, the makeup manager position surprised and excited me. The makeup team places advertisements in the issue. Every advertiser pays for a certain placement in the magazine and has stipulations about what kind of editorial content they are willing to have their ad be placed near. Makeup management is like a high-stakes puzzle, which sounded like a really fun challenge. It never occurred to me that one of the most difficult aspects of deciding what to do with my life might be figuring out what positions exist. I’ve known for some time that I want to go into publishing, but I never realized just how vague of an aspiration that was. 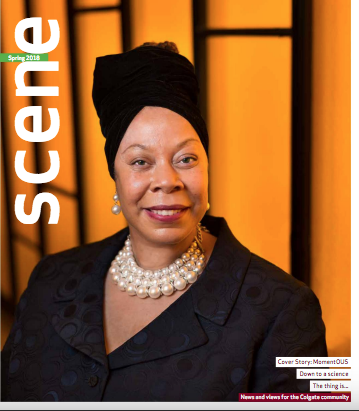 Through this experience, I was introduced to options outside of book editing; now I can see myself in a production department or in the magazine industry as well. I am so grateful to both career services and Mr. Gleysteen for making this incredible experience possible. Jason Keith, assistant professor of chemistry, and a team of scientists have made a discovery in chemical bonding that is drawing attention in the science community. Their project has shown that actinides, a series of metallic chemical elements, can form phi bonds. Nuclear waste contains actinides, which have a significant role in its long lifetime, Keith explained. “A greater understanding of the bonds involving these elements can lead to the reduction of waste that results from nuclear energy production.” While on its own the result does not do it, it is part of a greater effort toward that ultimate goal, he said. 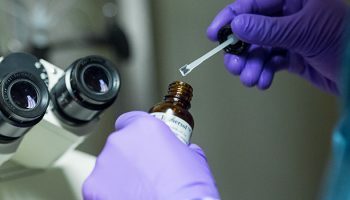 Chemistry World, a publication of the Royal Society of Chemistry (Europe’s largest organization for advancing the chemical sciences) published a story on the project in November. As one of nine co-authors on the report, Keith said he performed all of the calculations for the theoretical work. The team was made up of scientists and supervisors who worked on either the theory or experimental side of the project. The work, which used advanced X-ray techniques, was performed at Los Alamos National Laboratory (LANL) in New Mexico, where Keith was a postdoctoral fellow, and Lawrence Berkeley National Laboratory in California, from 2010 to 2013. 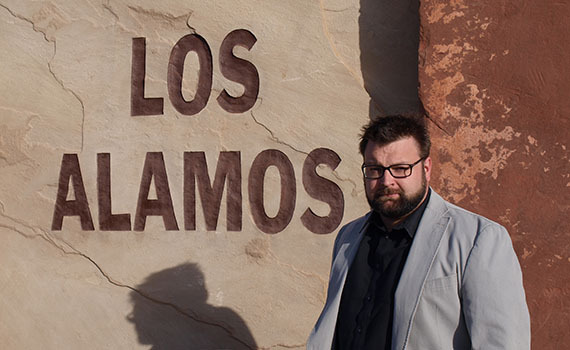 The project has led to seven publications and took up about 75 percent of Keith’s time at LANL, where he is now a visiting professor, he said. According to the Chemistry World article, the team’s next task is to discover bonding in a more complex actinide. A proponent of alternative energy and the environment, Keith said his continued interaction with LANL will potentially provide new opportunities for Colgate students, such as summer research fellowships and exposure to state-of-the-art science that cannot be done at a university. The New York Six Liberal Arts Consortium has been awarded a three-year $1.25 million grant by The Andrew W. Mellon Foundation to support new collaborations in globalization and language learning. The consortium members are Colgate, Hamilton College, Hobart and William Smith Colleges, St. Lawrence University, Skidmore College, and Union College. A collective to support teaching and learning around academic themes with historical roots in upstate New York that are of consequence worldwide, such as sustainability and human rights. Sharing of existing off-campus study programs. Students will also be encouraged to choose experiences that explore Upstate-Global Collective themes. Learning groups to test more efficient and effective instruction in less-frequently taught languages. Establishment of a greater sense of community among international students across the six campuses, to enhance their experiences while enabling others to benefit more fully from their unique perspectives. Virtual and in-person learning communities, building on existing and successful collaborations in IT and the libraries, that will facilitate greater curricular exploration, innovative use of new technologies, and more robust teaching and research partnerships. 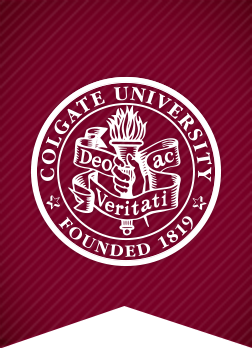 “This initiative will help bolster the global and international focus that is a key component of our strategic planning process at Colgate,” said Doug Hicks, provost and dean of the faculty. Douglas Johnson, associate professor of psychology, received the 2014 Jerome Balmuth Award for Teaching at a dinner on March 27. Since his arrival at Colgate in 1996, Johnson has taught a variety of courses, with emphases on human cognition and statistics. A committed citizen in the core curriculum as well as in the Summer Institute program of the Office of Undergraduate Studies, he received the 2001 Phi Eta Sigma award for outstanding teaching. Johnson has also been named the director of the Center for Learning, Teaching, and Research, effective July 1.